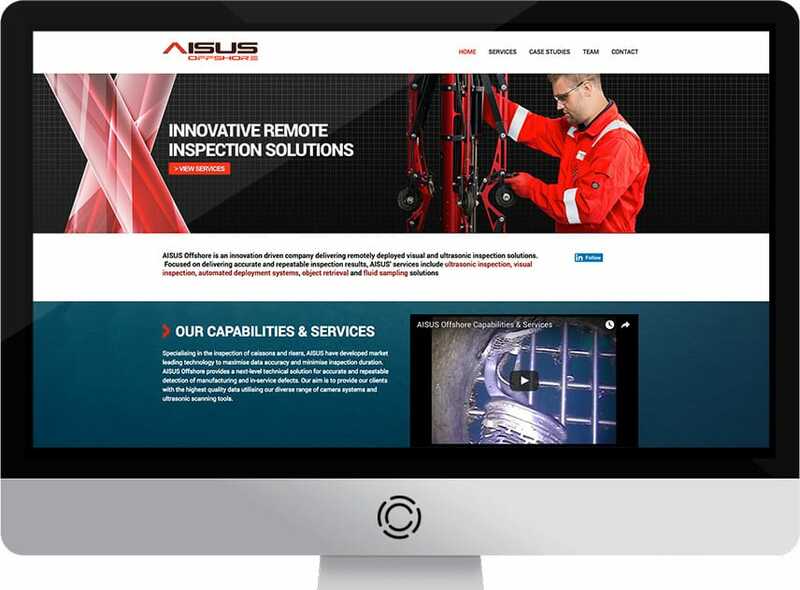 Aisus Offshore provide a wide range of subsea services for the oil & gas sector and design and build their own tools and needed a new website and digital strategy that would generate traffic, leads and results. 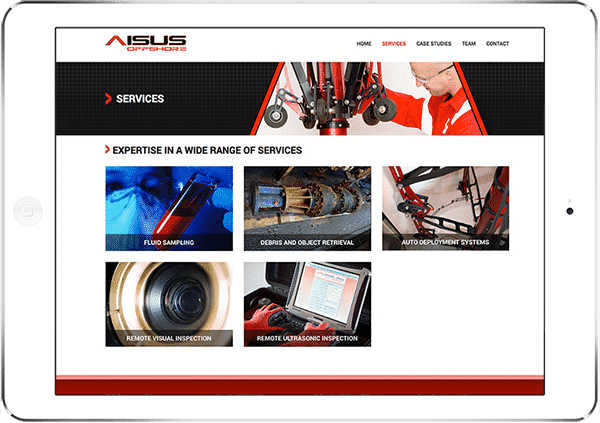 Aisus Offshore approached us to create a modern website so that customers could view their services and tools online. 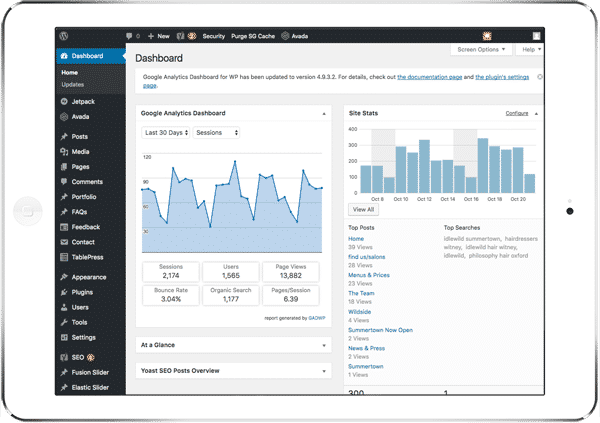 They also wanted to increase traffic to their website and increase the number of enquiries, so needed to get their main keywords ranked higher in the search engines. They also needed to capture leads coming into the website from potential customers browsing their products. We built a responsive, modern, search engine friendly website that reflects them as leaders over their competitors and showcases all their services and products clearly, with a simple, easy to use website. 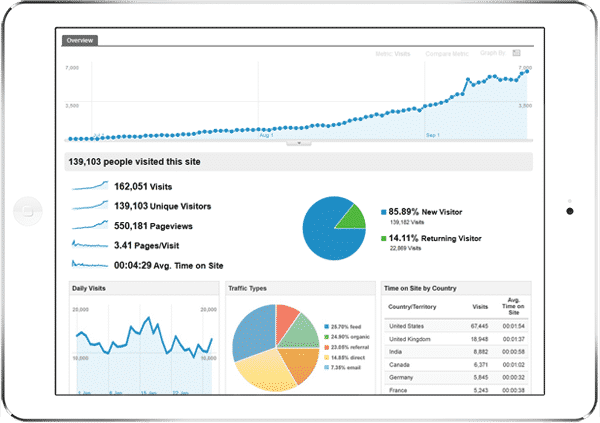 We also implemented a search engine optimisation campaign and got all of their main keywords in to the top positions of Google and that has seen a massive increase in traffic coming into the website in the first year and that has helped increase enquiries and sale. We also implemented tools to capture potential clients data when downloading key forms on the website. We ensured that the Aisus Offshore website was responsive on all mobile devices like iphone and ipad and tested thoroughly on all devices. The web design is a modern, mobile friendly, widescreen format, user friendly with bold black and red colours used and easy to use navigation and dropdown menus. The client wanted to manage their content, products and news items going forward so we installed a really easy-to-use, scalable content Management system that will allow them to grow their website as their business grows. We optimised their 2 main keywords ‘caisson inspection’ and ‘internal caisson inspection’ into the top positions and the client has seen a significant increase in customer enquiries and sales.